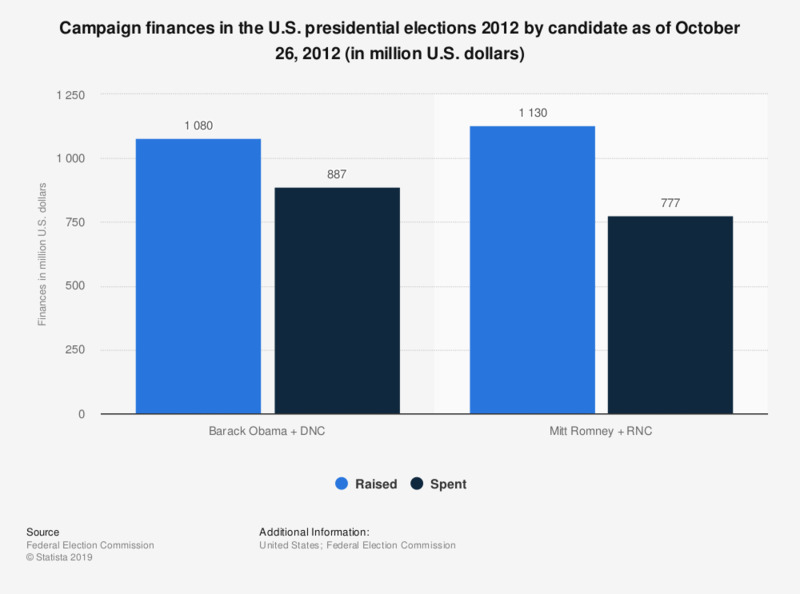 This graph shows the campaign finances in the upcoming elections 2012 by candidate. Depicted is the money raised up to October 26, 2012 as well as the money already spent. Total amount raised by campaign, national party and super PACs are shown here. As of October 26, Barack Obama and the DNC managed to raise approximately 1 billion U.S. dollars.